It always comes as a punch to the gut to hear about someone taking their own life. That punch sometimes feels harder and deeper when it is a member of the clergy, and I don’t think that shock is just for those in “the business”. When someone with a vocation takes their life because they don’t feel they can cope any longer it unsettles everybody. Part of that unsettling flows from the myth that if anyone knows how to cope with the darkness of stress it would be a priest. There is the cozy stereotype of the blissed out person who just can’t believe they get to do what they love and get paid for it and after all they only work for an hour one day a week and they’re so helpful and nice and gracious and they are free from the petty squabbles and troubles of “real life”. Of course, clergy exist in real life and are not immune from all the foibles that seem to define human life. They are not superhuman, super capable or super strong. They have money troubles, relationship troubles, family troubles, they do the work of several people, have long hours, self doubt, conflict in the workplace and sometimes a nagging feeling they might be happier if they had pursued another career. Clergy stress is not greater or more special than anyone else’s. But it is not always recognised as a reality. As it is for others, this stress gets kept under wraps and those who suffer it refrain from telling spouses, bosses, friends or parishioners. “I’m the one everyone is relying on to keep it all together” says the inner dialogue. The real fear is that if you are unable to cope then others will doubt you. Doubt leads to lack of confidence. Lack of confidence leads to replacement. Remember Gazza’s tears in the 1990 World Cup? Paul Gascoigne received a booking in the semi final between England and Germany which meant if England won, he would not be able to play in the final. His reaction? He cried. It has now become a national “Awwww” moment as he was overwhelmed with a feeling for having failed himself and his team mates. However, the other iconic image is the England captain, Gary Lineker, signalling to the sidelines to get a sub ready because he didn’t think Gazza could carry on. We are all afraid of that pragmatic message being sent to the sidelines about us. Our culture fears perceived weakness and failure. Our current government makes policy on the basis that someone in need is more likely to be a scrounger than a worthy recipient of our care. 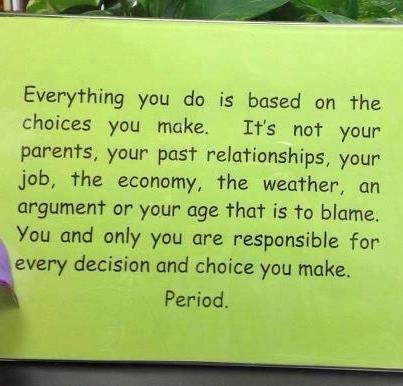 The Wayne Dyer quote on the left encourages us to believe that we live in a vacuum untouched by the choices of others, of systems and situations of limited choices. 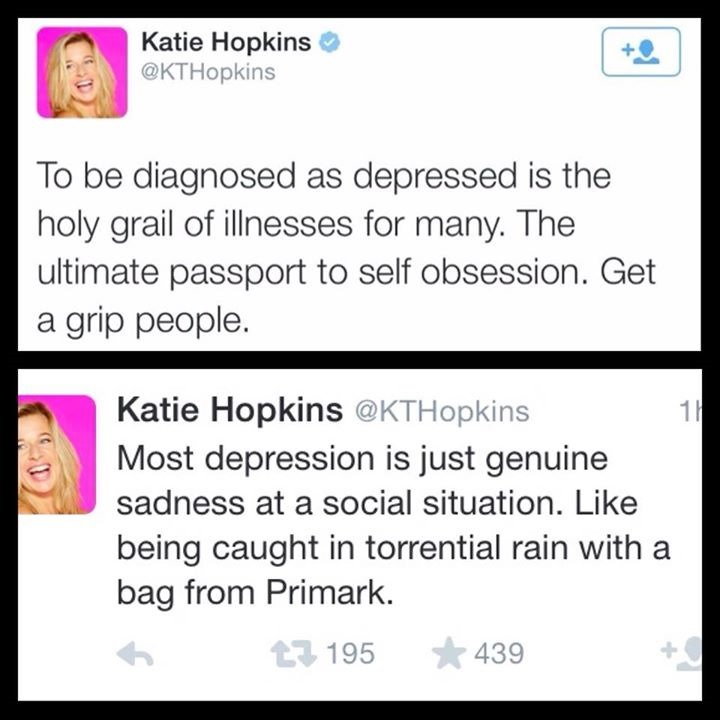 Katie Hopkins….well don’t get me started. In the face of this, scripture tells us a different story. In his second letter to the Corinthians, Paul tells us that God is most powerful when we are weak and devoid of our superhero complex. He writes in other places that it is assumed that we will crumble and stumble which is why it is better to be brothers and sisters together rather than to be alone and isolated. As Christians we need to remember to put aside our labels (lay and ordained) and our acceptance of the false myth about our power to change the world and ourselves by just trying really hard. We need to stamp out our own tendency to judge others who struggle. Instead, we are called to journey together and bear each other’s burdens. And maybe it looks like this. On that eventful World Cup evening, the game went to penalties. Gazza was still distraught but look at the response of the England manager Bobby Robson. He could have berated Gazza for his error. He could have kept him from taking a penalty because his mind wasn’t in the game. Instead he put his arm around Gazza and offered himself. The language may not be recommended therapeutic words, but the attitude is spot on. In my darkest times, it has not been the wise words of others that saw me through. It was the love, inclusion and the care they had for me even when I felt unloveable, incapable and bewildered. We are here for each other. You are not alone. This entry was posted in Uncategorized and tagged gazza, mental illness, stress, suicide on July 20, 2015 by newnortherner. The Chancellor of the Exchequer believes one thing about your life. All Tory policy is built around this belief. I’d even go so far as to say that every government in power since Margaret Thatcher has believed this. You are an economic unit serving UKPLC. You are a bad citizen if you aren’t productive enough, if you don’t spend enough and worst of all, if you are perceived as a drain on the economy. With this ideology in mind, George Osborne is about to further reform the Sunday trading laws. You can read more about it here. It would appear that the one day of shorter working and shopping hours is holding back the economy. And for George that needs to change because if it is good for the economy, then George is for it. Whether it is good for people is a secondary issue. People come and go, but the economy soldiers on. People are disposable but economies are forever. If you don’t believe me, read this. The bible is pretty consistent on describing its abhorrence of Idolatry. Not just a few verses here or there. Scripture is infused with an anger about how idolatry destroys humans and creation. Idolatry take two forms: something which usurps God’s place at the head of creation and therefore retells the master story in its own image or it is something which sits in God’s place and asks people to serve it regardless of the cost. Things like flags, nations, ideologies, doctrines, family, economics, holy books. George is inviting us to serve the idol and gospel of the thriving economy. Economic growth shall set you free. Work more hours for less pay. Spend more. Cooperate understandingly when the elimination of your job makes the company appear more profitable. If you don’t go along with it, there is something suspect about you because UKPLC needs this to happen and therefore you do too. In the case of the Sunday trading laws, he wants retail workers, who traditionally have been low paid and who have little job security to exchange a few precious hours of leisure for more hours of toil. He discourages us to think that maybe in the big scheme of things, it would be better to spend a couple of extra hours around a table with friends, in a park or forest or on a game of Scrabble or a good movie or (gasp!) doing nothing but being. Do we all really need more hours to go buy more stuff? I’ve just read Walter Brueggemann’s “Sabbath as Resistance”. In this book he suggests that when Israel were slaves, Pharoah’s way was more work, more growth. Israel were slaves serving a 24/7 imperial economy which had no place for people and their petty needs. Every moment is about production. The Sabbath, on the other hand, is about being. To be human is to participate in relationship and neighbourliness. Relationship is with people, creation, with nature, with God, with ourselves and maybe even a relationship with all the stuff we already own. Neighbourliness is about mutual care for each other which no market and no amount of productivity can provide. It is the antithesis to productivity and its demands. The Sabbath was created as a counter-point to Pharoah. Increasingly, governments of all stripes see the population as a collective of economic units. Our intrinsic worth is what we can contribute to the economy. That’s why so much of our national debate is focussed on who is creating wealth and who is draining it . It is a debate that encourages us to think about who are the heroes and who are the villains. The villains are the ones who don’t deserve, the ones who have pressing human needs that require precious resources to be diverted from our thriving economy, the ones who seem to want a free hand out. Such myths are built on other myths of self reliance, fear and the concept that wealth is a sign of deserved blessing on those who have it. Sabbath says no to the idolatrous myth George serves. Sabbath says that here is a different income and expenditure sheet that our national health is judged on. Sabbath says the economy should serve us. There are no “shirkers and workers” but rather stewards who are offered a great gift and are called to share it wisely and generously with each other. Sabbath invites us to rediscover our neighbour, not as a competitor or an asset, but as a fellow person made in the image of God. This entry was posted in Uncategorized and tagged budget, george osborne, idolatry on July 8, 2015 by newnortherner.